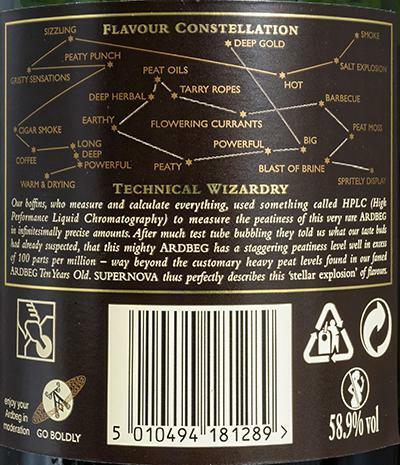 Simply awesome .... a top malt! Even less power then Ardbog have! Only a little bit in the mouth and let mix with saliva for a long time. First closed and clearly alcoholic. Distinct smoke with malt. 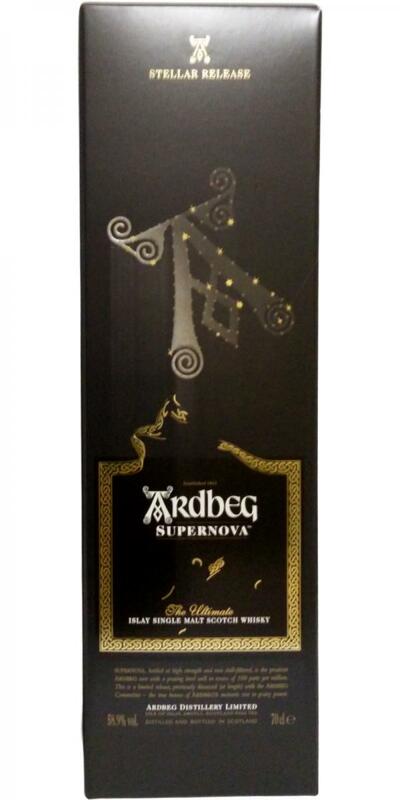 Powerful and smoky, burning not too strong. Something teen. A very nice grenade. A must for every smoke lover! Nose: terrific - full of aromatic smoke, tar and warm ash, maritime flavors, lots of lemon and vanilla, a bit earthy and a hint of nuts is also present, old tea leaves. 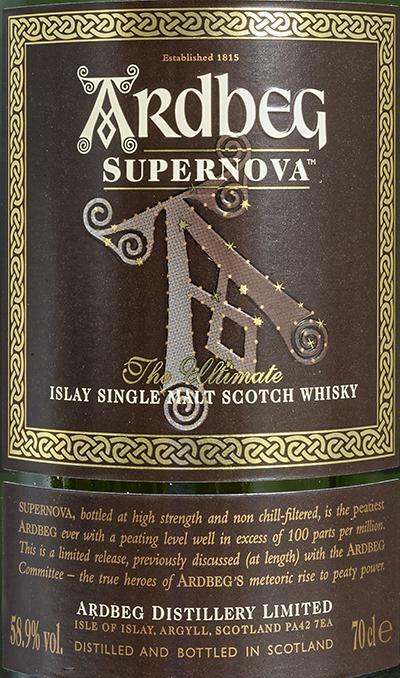 Very aromatic and powerful this supernova. Rather on the harsh side which makes him extremely interesting in the nose. 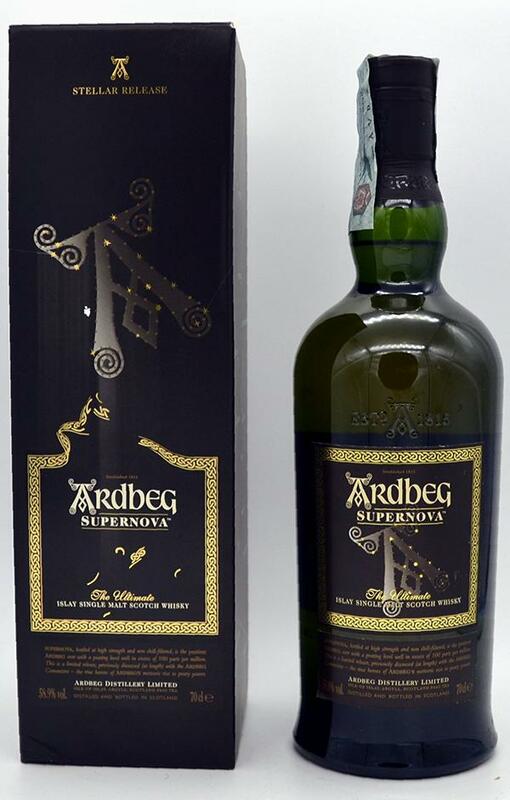 Taste: what a strong and full on, glowing ashes, sweet and sour peaty at the same time, a lot of vanilla, salt and lemon. Backwards in the long finish then with burned wood and anise quite spicy. 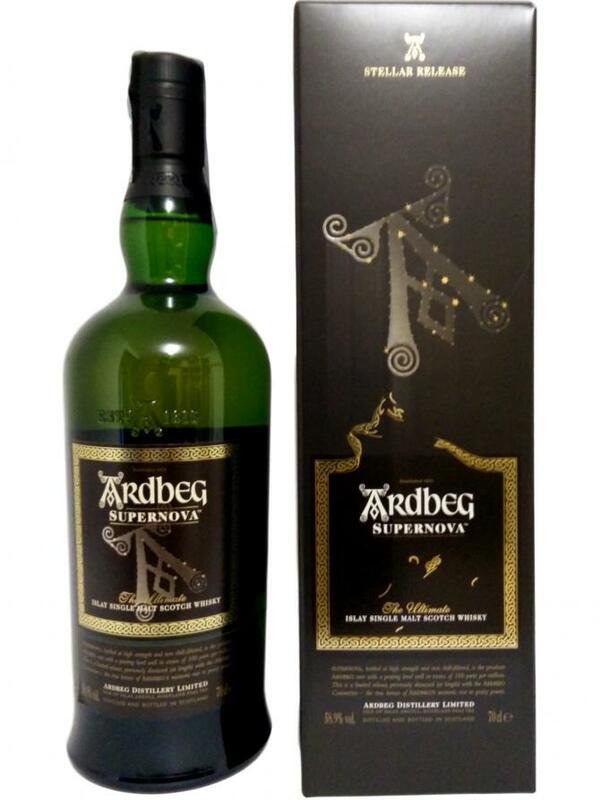 Again lots of salt and lemon - a constant back and forth between fruity freshness, salty notes and tartly warm smoke. 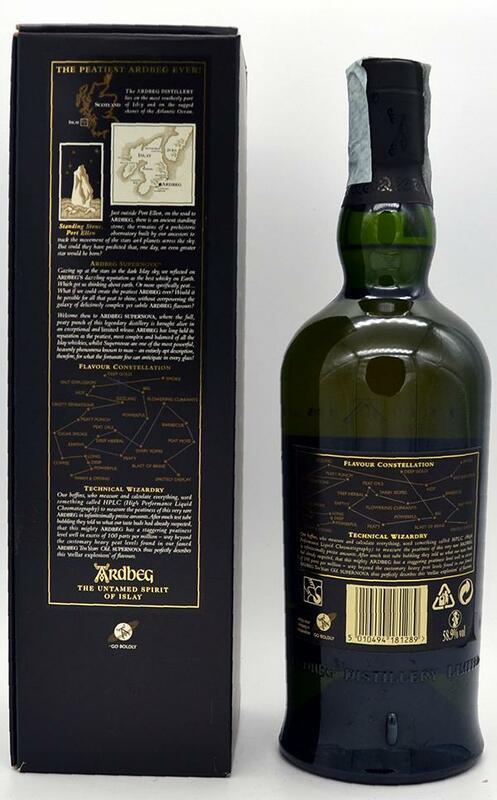 Great part - with such bottlings Ardbeg has rightly built up its reputation. 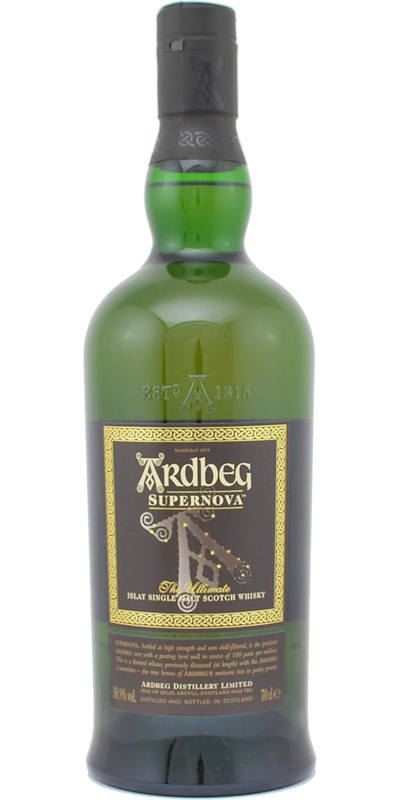 Like all other supernovas, a top-notch malt!